Some people have feared that Apple’s focus on mobile devices would leave the Mac gathering dust in a dark corner of 1 Infinite Loop, but 2012 has demonstrated that Apple’s longest-running product line isn’t out of steam yet. With some impressive product refreshes, a brand-new operating system for the second time in as many years, and the promise of more innovation to come, there has never been a better time to be a Mac user. Even for a company that prides itself on secrecy, Mountain Lion was an impressive coup: Nobody, not even the most dedicated Apple watchers, expected the company to announce a major system update less than a year after the last one. The pace of Mac OS X development has slowed in recent years as the software has matured, but Mountain Lion showed that OS X was alive and well, and was not just about moving iOS features to the Mac but intertwining the futures of Apple’s two software platforms. Announced in February and released in July, Mountain Lion came just a year after Apple's last major OS X update, surprising many. Plenty of Apple’s iOS apps—Reminders, Notes, Game Center, and so on—made their way to OS X with Mountain Lion, but some features came to both the Mac OS and iOS at roughly the same time, including Mail VIPs, Do Not Disturb, and (eventually) Facebook integration, to name a few. iCloud also became an increasingly important part of Apple’s strategy, as the company enhanced the lackluster integration with its online service that had debuted in Lion, adding the ability to store documents in the cloud. Though Apple let the cat out of the bag in February, Mountain Lion officially arrived in July, becoming available via the Mac App Store just as Lion had been. While it had some bugs—especially with the new iMessage—the overall package got a positive review from our editorial director, Jason Snell. Users seemed to agree, too: The update racked up 3 million downloads in its first four days of availability, and as of September that number had more than doubled to 7 million, which Apple CEO Tim Cook said made Mountain Lion the fastest-selling OS of all time. The Mac App Store didn't see much in the way of updates this year, though it continued to become the way many Mac users get their software. Although we didn't see much officially announced movement on the Mac App Store front in 2012, things kept chugging along, with more and more apps added and downloaded. Apple didn't dish on figures, either for Mac apps available or exactly how many had been downloaded since the company recorded the 100 millionth download last December. iWork '09 remains the most recent major update of Apple's productivity suite, which received only minor upgrades for iCloud support this year. One other notable omission in 2012 was the appearance of any substantial update to iWork, Apple's productivity suite, a major new version of which last surfaced in 2009. Cupertino did release a patch to bring support for documents stored in iCloud alongside Mountain Lion's debut, but new features for Pages, Numbers, and Keynote have been a long time coming. Perhaps 2013 will be the year. What the first half of the year lacked in Mac hardware announcements, the second half more than made up for. To kick them off, Apple senior vice president Phil Schiller took the stage at Apple’s Worldwide Developer Conference in June to announce a revision to Apple’s entire portable family. The existing MacBook line—the 11-inch and 13-inch MacBook Air and the 13-inch and 15-inch MacBook Pro—got third-generation Core processors, better graphics, and USB 3.0, without any increased hit to the pocketbook. 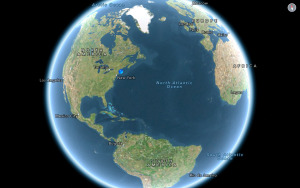 And the 17-inch MacBook Pro quietly slipped away into the darkness, never to be mentioned again. Apple's new Retina MacBook Pros were among the highest-profile releases of the year, and clearly set the direction for the company's computers going forward. But all eyes were really on Schiller’s next announcement: a brand-new, completely redesigned 15-inch MacBook Pro, highlighted by an enormous 2880-by-1800-pixel Retina display that Schiller pointed out was big enough to hold a 1080p HDTV image with room to spare. Despite our getting used to Retina displays on the iPhone and iPad, the MacBook Pro was a whole new story—and needless to say, it blew us away. With the new Pro melding the design of a MacBook Air with the specs of a MacBook Pro, it seemed clear that this was the future of Apple’s portable line. If there was any doubt about that, it was assuaged a few months later at Apple’s October media event, when Schiller rolled out the 13-inch Retina MacBook Pro. Like its bigger sibling, the 13-inch model featured an entirely redesigned enclosure, complete with all the latest technologies. Though its 2560-by-1600-pixel screen is smaller than the 15-inch model's, it still has almost twice as many pixels as a 1080p HDTV does. We got let in on a little secret, too: Apple doesn’t usually break out sales information about individual models, but at this event Schiller said that the 13-inch MacBook Pro was its bestselling Mac. Both the 15-inch and 13-inch MacBook Pros garnered positive reviews for their mix of portability and power. And, in traditional Apple fashion, they made the current MacBook Pro line—still being sold alongside them—look as antiquated as a vacuum-tube amp for an 8-track player. Apple’s MacBook line is undeniably more popular than its desktops these days, but that doesn’t mean that the company’s other Macs didn’t earn some love this year. 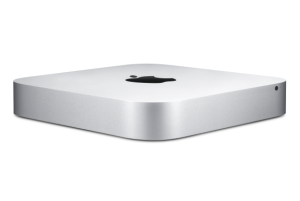 The Mac mini got a modest but appreciable upgrade later in the year. In the same October event that saw Apple roll out the 13-inch Retina MacBook Pro, the company also announced that it would update the Mac mini. While it sports the same aluminum unibody enclosure introduced in 2010, the 2012 model has a beefed-up Core processor, better graphics, and USB 3.0, putting it on a par with the updated MacBook Air and MacBook Pro lines. It also introduced a new type of storage offering, the Fusion Drive, which combines solid-state storage and hard drives into one fast, capacious system. The result for the mini was, as our lab director James Galbraith wrote, “attractive bang for the buck”. The Fusion Drive also got some praise of its own, as it registered performance approaching that of a pure SSD. The iMac got a major redesign with a much smaller, lighter enclosure and performance bumps. However, as with Apple's laptop rollout, the Mac mini was merely the opening act. In October it was Apple’s flagship desktop, the iMac, that took center stage, with a completely redesigned and impressively thin (at the edges, anyway) enclosure. In addition to updated processors and graphics, USB 3.0, and an improved FaceTime camera, the new all-in-one also offers the same Fusion Drive available in the Mac mini as a build-to-order option—which, of course, our top-notch lab team duly tested, along with high-end processor configurations. Like the Retina-display MacBook Pro, the iMac marked Apple’s goal of redefining what it means to be a computer: The company shaved an impressive 8 pounds off the weight of the desktop, yet packed an impressive amount of power into what for many people is a workhorse machine. As of this writing, though, the 27-inch models are just starting to ship out, with later orders scheduled to be delivered in January. As with rest of Apple’s rethought lineup, the iMac lacks an optical drive, leaving legacy machines such as the old MacBook Pro and the Mac Pro the only bearers of that increasingly antiquated standard. However, the desktop doesn’t yet have the Retina display that has been the hallmark of the company’s laptop refresh—not too surprising, given the expense Apple will probably incur for producing high-resolution versions of those 21.5-inch and 27-inch displays. But if you think that a Retina display won’t make it to the iMac eventually, well, we’d be more than happy to take that bet. Though the Mac Pro's update was nothing to write home about, Tim Cook has promised "something great" for professional users next year. And though you might be tempted to believe that the Mac Pro has faded into obscurity as the 17-inch MacBook Pro has, Apple’s tower desktop actually did get an upgrade in 2012—if you can call it that. The revamped Mac Pros appeared at WWDC, though nary a word was said about them on stage; no surprise, that, given that the only improvements were processor bumps, including the introduction of a 12-core model. 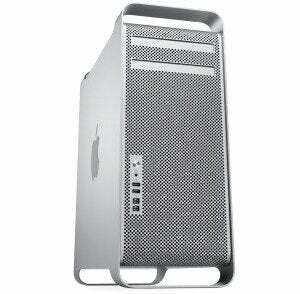 No new case enclosure, graphics card improvements, USB 3.0, or even Thunderbolt support here. But all hope is not lost. Not long after WWDC, a concerned Apple customer emailed CEO Tim Cook to ask what had happened to the professional-level desktop. A response from Cook aimed to reassure, saying that Apple is “working on something really great for later next year.” And a prevaricator Apple’s CEO isn’t, so we’d stay tuned. Put all of the above together, and there’s a lot of steam behind the Mac going into 2013. 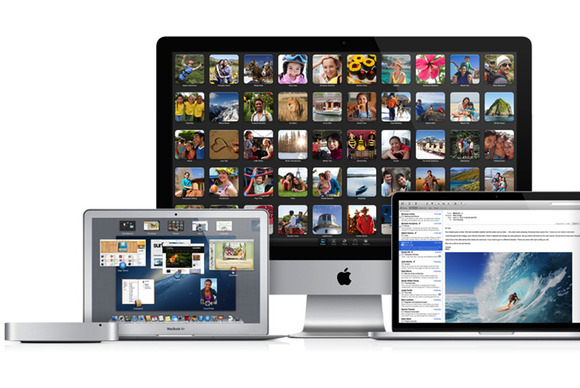 The company moved more than 18 million Macs in 2012, setting Mac sales records for each respective quarter throughout the year. More to the point, Apple continues to outpace its rivals in the computer marketplace by recording year-over-year growth in all four quarters as well. As Tim Cook is fond of pointing out, Apple has outgrown the PC industry every quarter for the past six years. And although the margins for growth have begun to slim in the past few quarters, the company’s recent refreshes are sure to help bolster that going forward. All in all, for a product that is rapidly approaching 30 years on the market, the Mac is still going strong, and 2013 promises to be no exception.